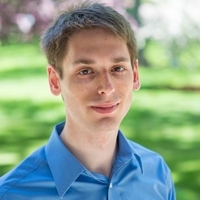 Brian Albert is currently a fourth year doctoral student in the Department of Materials Science and Engineering at MIT. His research involvement in the Electronic Materials Research Group at MIT focusses on Ge-on-Si heteroepitaxy and filter design for photovoltaic applications. He previously received a B.S. in Chemical Engineering from Columbia University in 2010. Copyright © 2012-2016. The International Conference on Universal Village. All Rights Reserved.